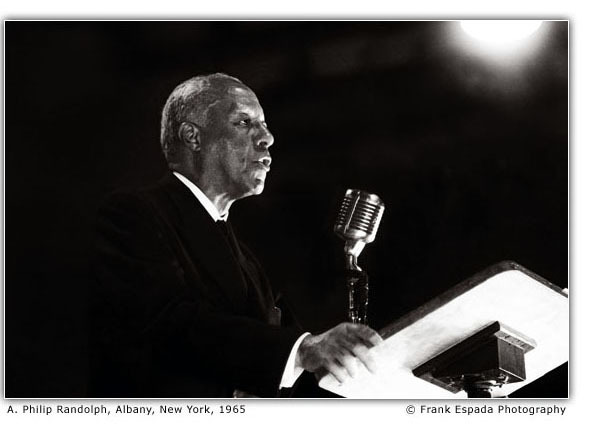 Arguably the most influential civil rights leader of the century, A. Philip Randolph is an almost forgotten figure. He was born in Florida in 1889, the grandson of slaves. He graduated as valedictorian of the Cook Institute, a black school. 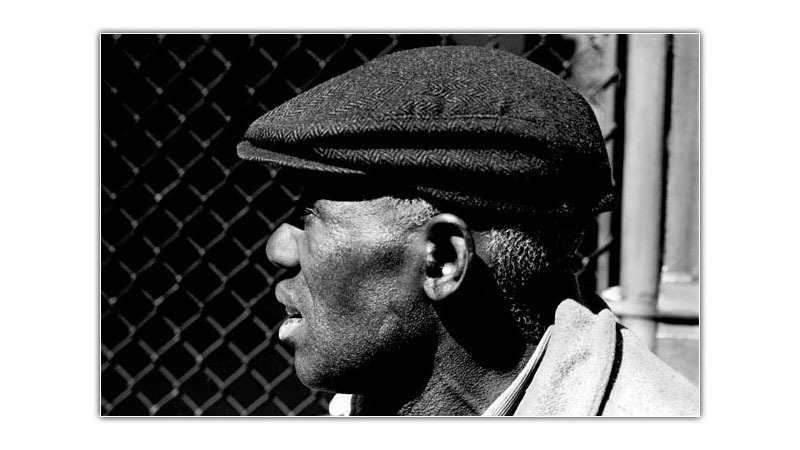 He migrated to New York City in 1911 and was accepted at City College. While there, he joined the Socialist Party, and founded a left magazine, The Messenger (from which he blasted Woodrow Wilson, Booker T. Washington and W.E.B. Dubois). In 1925 Randolph founded and became President of the Pullman Sleeping Car Workers, the first black union. The AFL barred blacks from membership until 1937 (12 years later) when his union finally secured a contract from the Pullman Company. He was the first black to sit on the AFL executive committee. In 1942, he petitioned President Roosevelt to end discrimination against blacks in the federal government. He threatened to organize blacks to march on Washington in protest. The President, being aware that a demonstration of this nature would not fit the latest propaganda calling the U.S. "The Arsenal of Democracy", caved in, issuing Executive Order 8802, banning discrimination in defense industries with the Fair Employment Act, allowing thousands of blacks many migrating from the Jim Crow South to gain employment in the government and in the defense industry. In 1947, he took on discrimination in the armed forces with his organization, The League for Non-Violent Civil Disobedience Against Military Segregation. After much haggling, an enraged President Truman gave in, resulting in Executive Order 9981 on July 26, 1948, barring discrimination in the military. Randolph was primarily responsible for organizing the most significant civil rights demonstration in history, the March on Washington of 1963, passing the torch to Martin Luther King, who made his historic "I Have a Dream" speech.